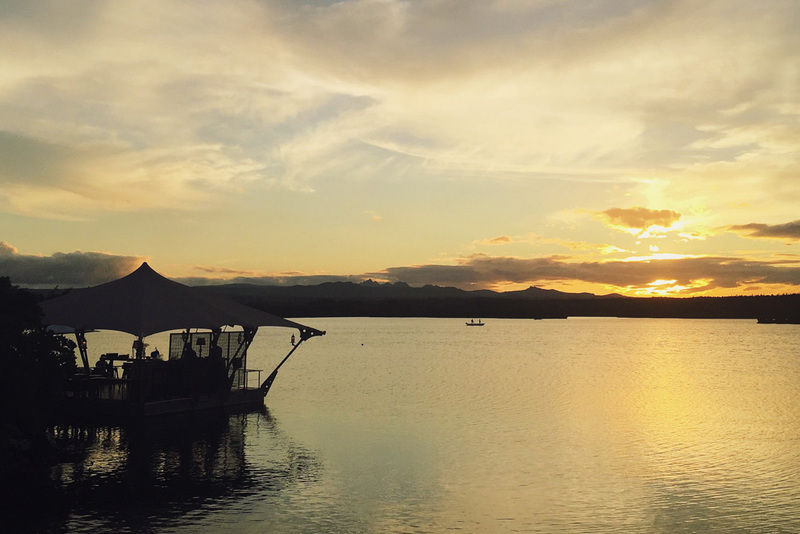 Our honeymoon in South Africa and Mauritius was all about indulgence and stylish luxury with a dose of adventure and culture. 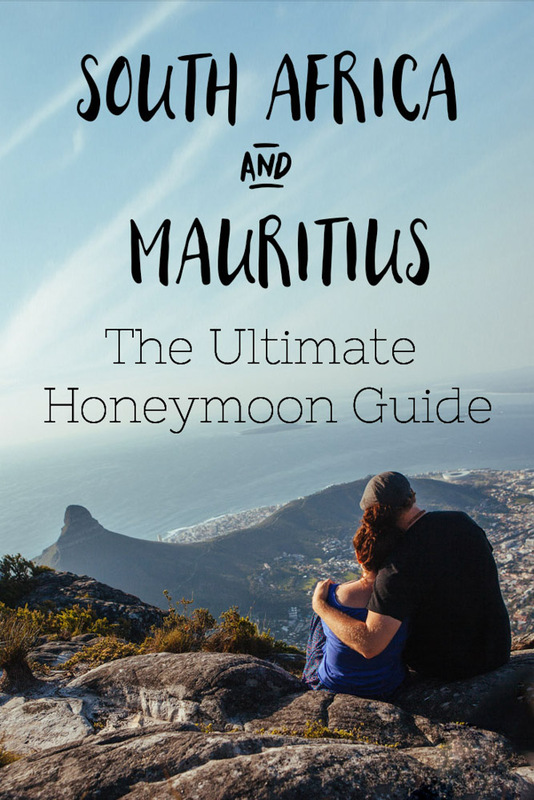 We’ve written about how we choose the destinations, and now it’s time to share the details of our Mauritius and South Africa honeymoon itinerary. The honeymoon was all we’d hoped for. “I can’t believe how good this is” became a catchphrase of the three weeks. From the thrill of safari to the opulence of five-star Mauritius, it ticked every honeymoon box we’d imagined. As you’ll know if you read this blog, we love to find the places you want to tell people about – beautiful hotels and sights that are filled with character and creativity. We don’t like anything that could be described as bland. And as this was our honeymoon and a once-in-a-lifetime trip, we upped our usual budget and splashed out on making it all we wanted. 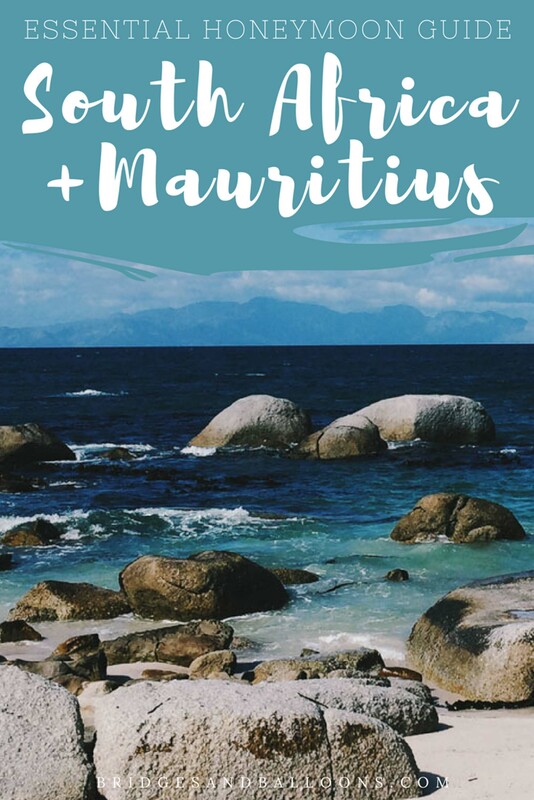 So if you’re looking for a perfect trip, here you go: our honeymoon itinerary for South Africa and Mauritius. It’s filled with unique places to stay, gorgeous nature and an abundance of delicious food ­– the ultimate South African honeymoon. Normally we’re independent travellers, finding and arranging everything ourselves, but for our honeymoon we decided to go through an agent. This was partly due to time. In the madness of wedding planning, we didn’t have much time to spare so any help was much appreciated. We also knew we wanted our honeymoon to be luxury so getting help with the arrangement was in tune with that. The main thing we were worried about was cost and whether going through an agent would raise the prices. In fact, the opposite was true and, for the most part, the agent managed to secure better deals than were available to us. The other main benefit of going through an agent was their extensive knowledge of the destinations. We could tell them exactly what we were looking for, including style and budget, and they came back to us with a tailor-made itinerary. If we weren’t happy with anything, they tweaked it or found something else. Most luxury hotels have honeymoon deals, some offering up to 50 per cent off. The agents knew exactly which properties had these deals, again saving us time and money. 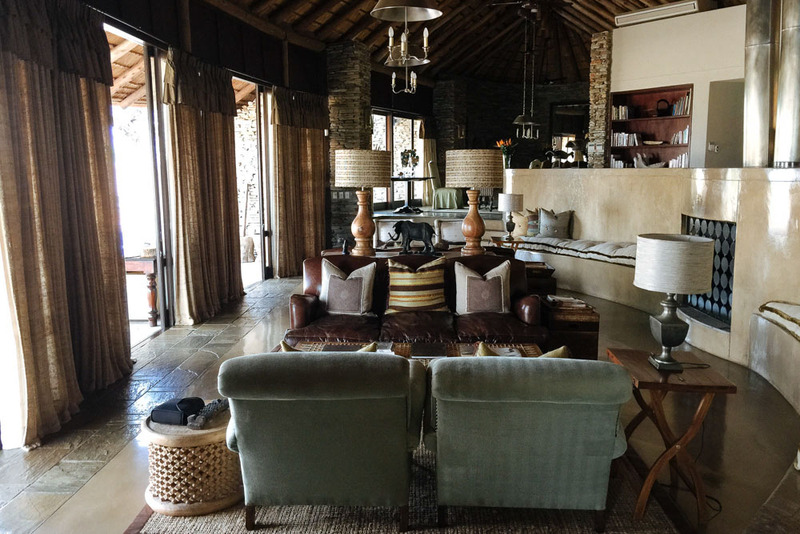 We shopped around for an agent for our Mauritius and South Africa honeymoon, which is advisable so you find exactly what you’re looking for, but it also doesn’t feel very good as you feel as though you’ve wasted the time of the agents you don’t finally go with. We chose Yellow Zebra Safaris and specifically their agent, Kirsten Wooley because she seemed to most clearly understand what it was we were looking for. All her suggestions were spot on and she was endlessly helpful with all the tweaks and changes we requested. Kirsten was also on hand throughout our honeymoon to answer any questions we had. We were very happy with our choice. Other companies that we spoke to who were very helpful were Rose at The Luxury Safari Company, Anna Hearn at Scott Dunn, and at Original Travel. Yellow Zebra Safaris booked all our accommodation, transfers, car hire and internal flights in South Africa. We decided to book the Mauritius honeymoon accommodation ourselves as there are so many hotels offering honeymoon deals there that we wouldn’t have saved money by going through an agent. We also booked our own international flights. This is because I’m a bit of a bargain flight geek and was determined to get the cheapest deal. This involved a bit of wrangling with different airlines and routes. In the end, the cheapest option was to buy a return flight to Cape Town, but only use the outbound flight (the madness of flight prices means it’s often cheaper to book a return than a single!). I then booked a two-leg flight from Johannesburg–Mauritius–London. This was also cheaper than buying two single flights (airlines sometimes offer reductions for multi-leg journeys). If you’re interested, I’ve written a post on how to save money booking flights. Beware it takes patience! A lot of people have asked us about the safety in South Africa and it’s something we were concerned about when making the booking. We’ve all heard the horror stories of hijackings and violent crime, especially in Johannesburg. In reality, we never felt threatened in South Africa and our impression is that things have got a lot better from the days when South Africa earned its violent reputation. That said, it’s sensible to be vigilant and to take safety precautions such as locking all your car doors and not driving or walking around at night. Essentially, take the same measures you would in any big city and avoid the areas that are known for crime. But don’t be put off visiting this awesome country because of safety concerns. We had no trouble at all and highly recommend a South Africa honeymoon. See our travel resources page for all our best travel tips, including how to save money with the best cards, what insurance to choose, and all our favourite tools and tricks. And now, for the itinerary…. We started by flying to Cape Town where we spent three nights, and then another two after our trip to the Cape Winelands. While in Cape Town, we mostly spent our time exploring the city, but also took a day trip to explore the Cape Peninsula. We hired a car, which gave us the freedom to explore at our own pace. 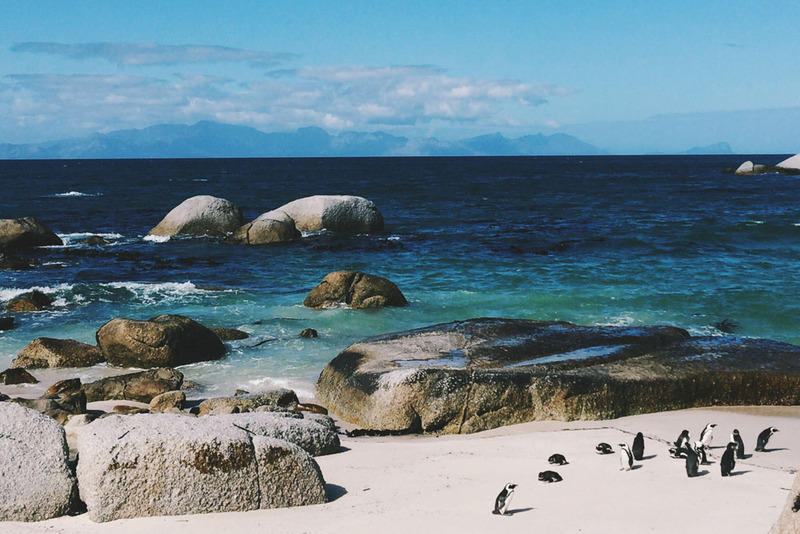 On the day trip, we stopped at Kirstenbosch Botanical Gardens, the surf town of Muizenberg, the penguin colony at Boulders Beach, and Cape Point, the most south-western point of the continent. We drove in a loop around the peninsula and finished our day with a gorgeous sunset along the west coast, finishing at Camps Bay. Read more details about our Cape Peninsula road trip in an upcoming post. This a must for any South African honeymoon. In Cape Town, the main thing we wanted to do was go to the top of table Mountain. For the first few days, the mountain was closed due to high winds, but luckily we got to go up the mountain once we returned from the Cape Winelands. It was a clear day and the views were stunning, especially as sunset approached. We’ll post more photos and details soon. We’re not the kinds of travellers who fill our days to the brim with museums and galleries, preferring instead to soak in the life around us, but we did go to the South African National Gallery and the Two Oceans Aquarium, both of which we’d recommend. We loved exploring the neighbourhoods, and especially loved the colourful Bo Kaap district and the vibrant V&A Waterfront, which is reminiscent of San Francisco. Woodstock is Cape Town’s hipster area, especially around the Biscuit Mill, which holds a mixture of boutiques, studios, and world-class restaurants, as well as a popular Saturday market. We’re posting a photo essay on Cape Town soon. We had one of the best meals of our lives while in Cape Town, at The Test Kitchen, which regularly makes lists of the best restaurants in the world. We were lucky to sit at the counter table, which meant we got to see the chefs prepare the incredible 10-course meal. We were especially impressed that The Test Kitchen had a dedicated vegetarian menu with wine pairings, which is unusual for high-end restaurants. If you want to eat there, be sure to book in advance. We were lucky that the hotel had made a spare booking. 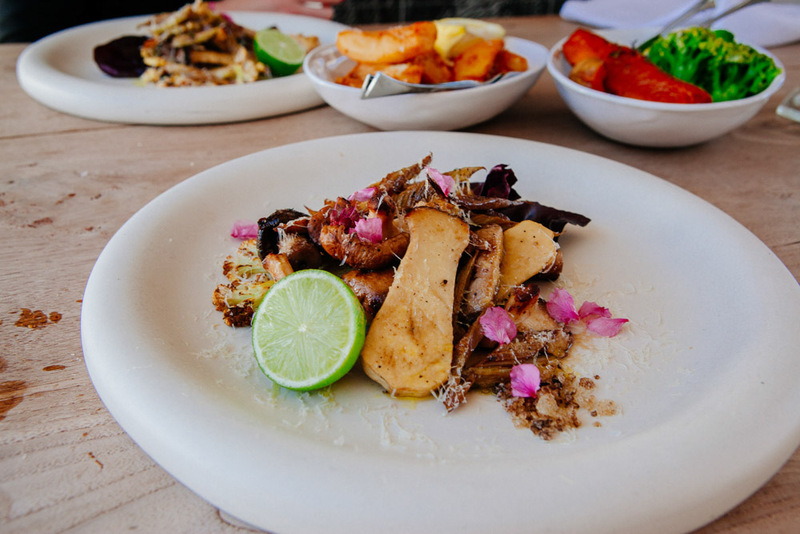 The Test Kitchen has a more casual sister restaurant called The Pot Luck Club and Gallery, which is also in the Biscuit Mill. It focuses on inventive tapa dishes and also has a dedicated vegetarian menu. We highly recommend it. Other notable restaurants in Cape Town include the atmospheric Kloof Street House, and jazz nights at Asoka. If you’re looking for some cheap and very tasty Indian food, then head to the Eastern Food Bazaar (it’s nice not to be luxury all the time!). There was also a good indoor street food market down on the V&A waterfront. We stayed in an apartment at a beautiful boutique hotel called More Quarters. It was ideally located just off Kloof Street, which has plenty of restaurants, cafes and bars. The hotel provides free transfers down to the V&A Waterfront, but you can also walk in about an hour. The hotel had a wonderfully cosy communal area that served complimentary cake, port and tea throughout the day. We flew to Cape Town directly from London Heathrow. It was an overnight flight and the time difference is only two hours so after some sleep on the flight, we felt pretty good the following day. This meant we barely lost any time due to travel. We got a transfer from the airport straight to the hotel. This took about 30 minutes on a Sunday morning, but would take longer during rush hour times. While in Cape Town, we hired a car which we used to tour the Cape Peninsula and drive out to the Cape Winelands. For hiring a car, we recommend booking with Rentalcars.com as they always have the best deals. For the second part of the South African part of our honeymoon, we hired a car and drove to the Cape Winelands that surround Cape Town. Spring had just arrived so the sun was shining and the drive alone was breathtaking. Alongside their wine, the Winelands are known for their top quality food and we spent the three days indulging in all they had to offer. It was, in a word, blissful. Our first night was spent at Babylonstoren, one of the most tasteful and stylish wineries I’ve ever come across. I was excited about it from the moment I saw its website, and the reality didn’t disappoint. 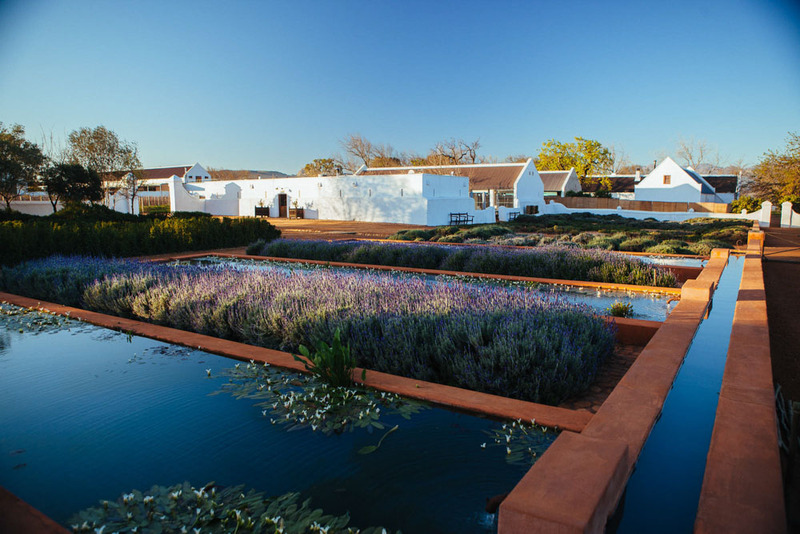 Read our full review of Babylonstoren. We spent the next two nights in The Last Word, a chic boutique hotel in Franschhoek, which is perhaps the cutest town in the Cape Winelands, and feels more akin to Provence than South Africa. The town is filled with and surrounded by wineries, many of which serve world-class food too. It’s a serious foodie paradise. We’re writing a post with more details of the vineyards we went to, but one good way to visit them is by taking the wine tram. You choose from one of two routes and then hop on and hop off at whichever wineries you choose. If you start early enough, you can fit in five wineries in one day. It’s a good way to explore as the wineries are quite spread out so your only other option if you’re drinking is to take taxis, which would be expensive. Babylonstoren is between Franschhoek and Paarl on Route 45, and The Last Word is in the centre of Franschhoek. Read my full Babylonstoren review. We hired a car in Cape Town and drove to and around the winelands ourselves. The drive was really easy on huge, wide roads with gorgeous scenery. South Africa drives on the same side of the road as England, which made it even easier. All of our honeymoon was wonderful, but if I was pushed to pick a highlight, it would have to be our time on safari at Makanyi Safari Lodge. Everything about the experience was magnificent. We saw the Big Five on our first full day and then topped that off with a cheetah and wild dogs to make it the Magnificent Seven. But it was about more than ticking boxes – the attention to detail and the enthusiasm of our guides made the whole safari experience incredible. We’re still dreaming of it now. Here’s a full review of our safari and time at Makanyi. Makanyi is a new lodge in the southern sector of the Timbavati Private Game Reserve in Kruger Park. It’s about a 50-minute drive from Hoedspruit Airport in the north of South Africa. It’s the only commercial lodge in the area so you very rarely bump into other vehicles. The stylish suites are gorgeous and look out onto a watering hole frequented by various animals including a resident hippo. 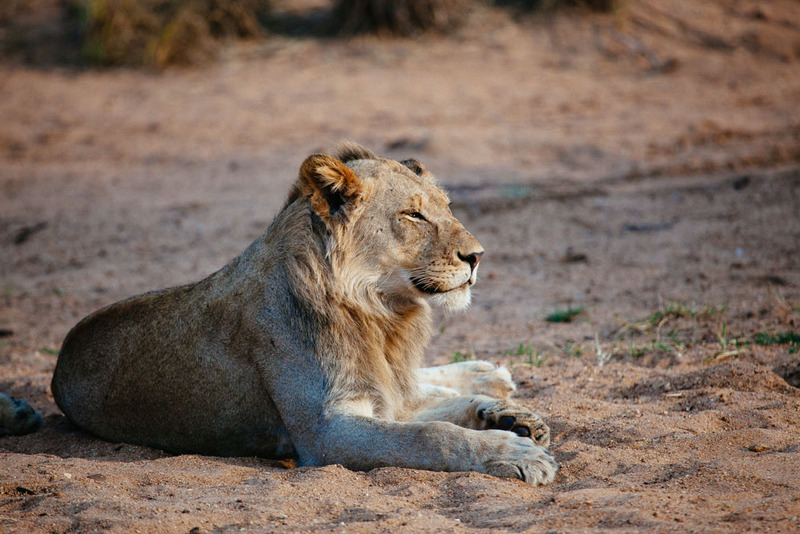 There are two daily game drives as well as other activities to choose from, such as a bush picnic and stargazing. All meals, drinks and snacks are included and they are provided lavishly. I’m writing a full review, and you can expect it to be glowing! We flew to Hoedspruit from Cape Town, which took two-and-a-half hours. From there, the lodge arranged a transfer. So many people told us to miss Johannesburg that we nearly listened to them, but in the end we listened to ourselves and went. It turned out to be one of the highlights of the whole trip and smashed our preconceptions away. Improved city security is making Johannesburg a safer place to visit and it’s a truly fascinating place to explore. 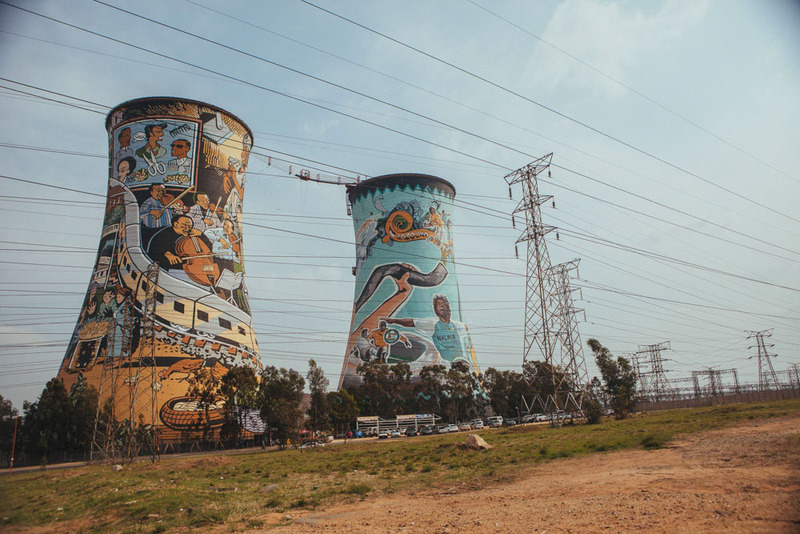 Although we were on our honeymoon and had surrendered to luxury, we also had our usual curiosity about culture and Johannesburg gave us a good insight into everyday South African life. We were only there for two nights, but spent one full day on a city tour. This included the downtown area, the Apartheid Museum and Soweto, South Africa’s most famous township. Our tour guide was a man from Soweto and we spent the day showering him with questions and learning some difficult but important understandings of the current situation in South Africa. I’m writing a post on the things we learned. 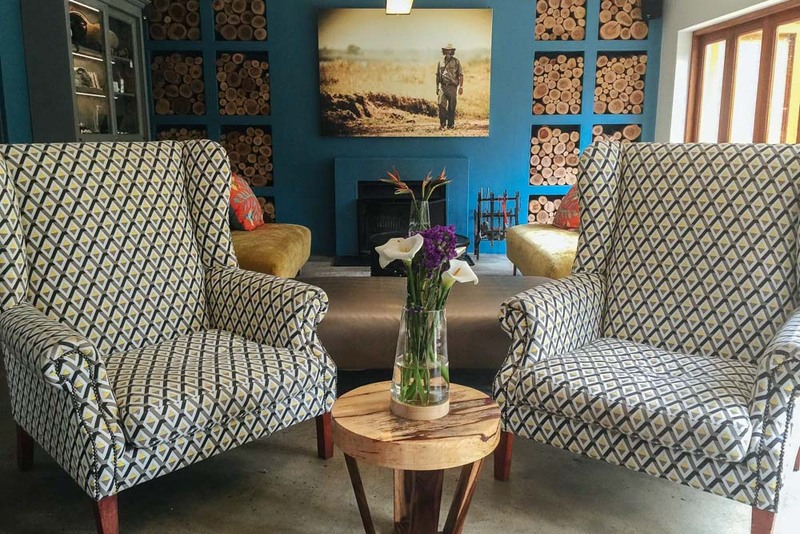 We stayed at The Peech Hotel a boutique hotel in Melrose, which is an upmarket area of Johannesburg. It was interesting to see how the Johannesburg upper classes live and it’s a beautiful area, but we did feel somewhat disconnected from the rest of the city. On our tour of Soweto, our guide pointed out some B&Bs, which I think we’d choose for next time so as to see a different side of the city. We flew to Johannesburg on a short one-hour flight from Hoedspruit. We got a pre-arranged transfer from there to the hotel. During the day we walked around the Melrose area, but when it got dark we took taxis. Johannesburg has Uber, which was useful. For our day of exploring Johannesburg, we went on a tour with a guide who drove us around the city. This was arranged by the hotel. Mauritius was the most classic element of our honeymoon. We stayed at a five-star resort and basked in opulent luxury. Initially we had hesitated to book something like this. It’s so far from our usual style and we weren’t sure if we’d enjoy being pampered so much. Often that kind of treatment makes us feel somewhat uncomfortable, but if there’s any justification for being pampered then a honeymoon is surely it! So we bit the bullet and booked a week’s stay at one of the island’s most quintessential honeymoon resorts, Le Constance Prince Maurice. It even had a dress code so we had to dress up every evening. This was one of the things that had initially put us off, but ended up being a novelty we enjoyed. We do have “fancy” within us! During our week of honeymoon in Mauritius, we only left the resort once! The rest of the time we simply enjoyed the hotel’s facilities, from spa treatments and water sports to relaxing on the beach. We had booked the honeymoon special, which included breakfast and dinner every day as well as a daily 100 euro credit to spend on drinks, food and spa treatments. This was a great, but also necessary, deal as drinks and food were super expensive. If you go there, make sure you factor that in! Happily, the water sports, including stand-up paddleboarding, water-skiing and kayaking, were all free. Le Constance Prince Maurice is an opulent yet stylish five-star resort with three restaurants on site, as well as bars, a spa, tennis courts, watersports, and two pools. 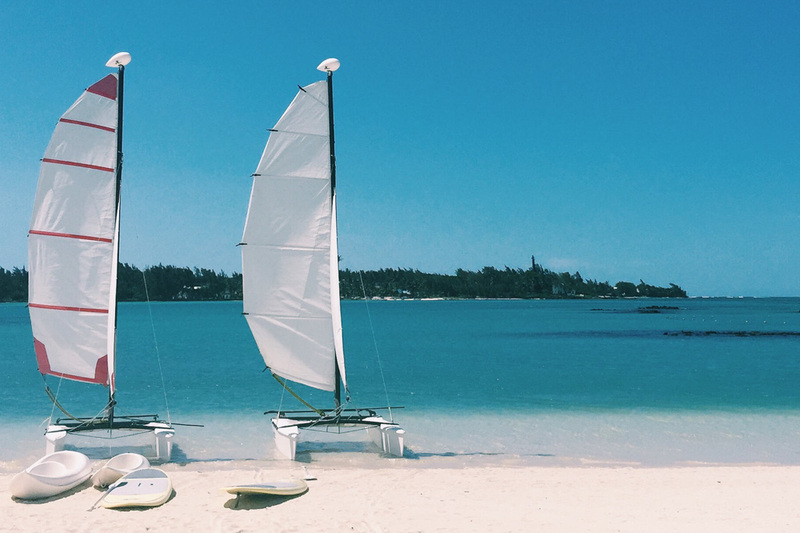 It has a beachfront location and although none of the beaches in Mauritius are allowed to be private, this one pretty much is as it’s situated on its own bay. We’ve heard that there are normally lots of people selling things on the beaches in Mauritius, but we didn’t see any. The food was fantastic and the hotel went out of its way to accommodate us as vegetarians. There weren’t many vegetarian options on the standard menus so they tailor-made dishes for us. 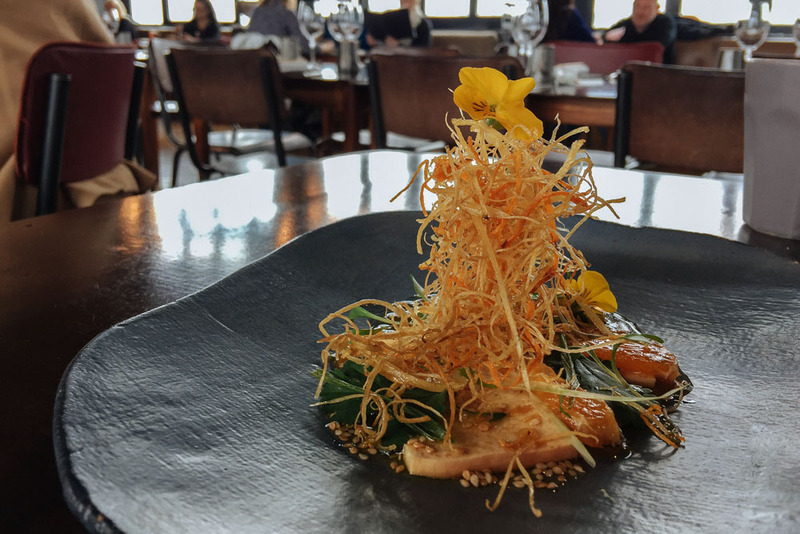 The floating restaurant, Barachois, was particularly special, and we loved the ambience of the Asian restaurant. Breakfast was also a daily treat with an extensive and varied buffet. We flew directly to Mauritius from Johannesburg, which took four-and-a-half hours. And from Mauritius we flew direct to London Heathrow, which took 12 hours. Both flights were with Air Mauritius and we saved money by booking the flights together. We pre-booked a transfer from Mauritius Airport to the hotel through Taxis Mauritius. This cost 35 euros each way, which was a lot cheaper than the hotel’s own transfer, which was priced at 135 euros! If you’re hiring a car, we recommend Rentalcars.com as they always have the best deals. Have you been on honeymoon in South Africa or Mauritius? Be sure to leave your tips in the comments. If you’re planning a trip, be sure to check out our travel planning pages. We also have full, detailed itineraries for How to relax in Goa and Kerala; How to make the most of 10 days in Japan; Finding hygge in Copenhagen, 48 Hours in Dublin, five days in Iceland, and more. See all our itinerary posts here. What a great honeymoon! So glad you enjoyed it.. Africa is pure magic. Can’t wait to read more stories to come. Thank you! I agree. Africa is magic! wow…looks like you guys really had a great honeymoon. I like the fact that you guys mixed up your honeymoon experience – between SA and Mauritius. Thanks 🙂 We were happy with that choice too! Thanks Kaleena. A trip to South Africa definitely doesn’t have to be luxury to be amazing. The country is gorgeous. You’ll love it! What a great honeymoon itinerary! How much did the whole trip cost? A lot! I think the final cost, including all flights and most of our food was £7,000. A 5 nights stay in Kruger alone plus flight from Cape Town, is over 4,000 pounds. Not for us. We booked through Yellow Zebra Safaris who can get great deals. Can you recommend your agent to me? Wow, your time here looks amazing! We were inspired by your blog and are planning our honeymoon for Makanyi and Mauritius (although at another resort). Did you stay in a plunge pool suite at Makanyi or a classic suite? We stayed in a classic suite, which was amazing! Enjoy your time there and say hi from us! What was the total cost of your trip? What an amazing trip! I am curious, what time of year did you go? I am looking at doing Kruger, Cape Town, and the Cape Winelands for our honeymoon sometime in August or early September. However, a lot of people say the weather is very rainy and cold in Cape Town and the the winelands this time of year. I am looking to go in June 2017 and would love to know the time of year you were there as well! Thanks for all your detailed itinerary ! It is. A huge help! We were there in September. Have a great time! Seems you guys had lot of fun. Your blog was so natural that I actually felt that I am standing in South Africa and Mauritius. Inspired by your post, I am also planning to go for a vacation in South Africa. The details in your post are so useful. Thank you so much for sharing your experience. Looking forward for more such posts regarding ultimate vacation destinations. So pleased it was useful 🙂 Have a great trip! Can you share what your budget was?! We are planning a South African Safari and I would love to know approximately what you all budgeted! I just fell in love with this honeymoon guide. We are just planning our honeymoon for next year and want to combine South Africa with Mauritius. Then I stumbled over your blog and I think this sounds like a perfect trip for us … Thanks for sharing this experience – it’s such a wonderful inspiration. Thanks Eva. Really happy to hear it’s been useful. You’ll have a great time. Both countries are wonderful! Great Work Victoria…Nice images with proper details. You made as plain us Honeymoon trip to South Africa honeymoon even to Mauritius. You gave prefect information how to plan..Even come to know how those place for newly married couples..Thank made for work easy.. I am interested in doing a similar trip and would love to know what time of year you went! Thanks for sharing this post with us. I really loved your post and will definitely share it with my friends. This is such a great guide and its nice that you updated it. My fiance and I are looking for great honeymoon destinations for a budget because of the expense of our wedding. South Africa looks like a great spot thanks! I am planning on traveling to Mauritius in June this year for my honeymoon. I am very interested in the constance prince maurice! I was wondering what your opinion of the beach is? I have heard it is not the nicest and not the best for swimming so I was hesitant to book. Would love to know your opinion. Also wondering if you visited the Constance Belle Mare at all while staying here? I have heard that you can have access to this resort as well if you stay at the Prince Maurice. I remember thinking the beach was gorgeous! And I definitely went swimming while there. I was there four years ago, but I don’t imagine it can have changed much? And I’m afraid we didn’t go to the Belle Mare. OMG what a lovely honeymoon. I would love to have such an experience with my special someone too. After reading your blog, I’m definitely adding these places as my dream honeymoon destinations. I can use your blog as a reference, thank you for this. Did you plan everything DIY style or you also asked help from tour operators? I’ve read a blog about DMCs, and learned that they also organize honeymoon and weddings. Anyway. So happy for you guys, you look so happy. I’d love that too! This blog is awesome, keep it up!